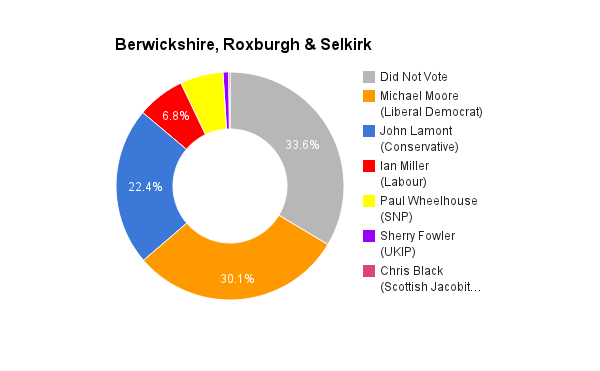 Berwickshire, Roxburgh & Selkirk is located in the south of Scotland. It was created in 2005 and has been held by the Liberal Democrats since then. 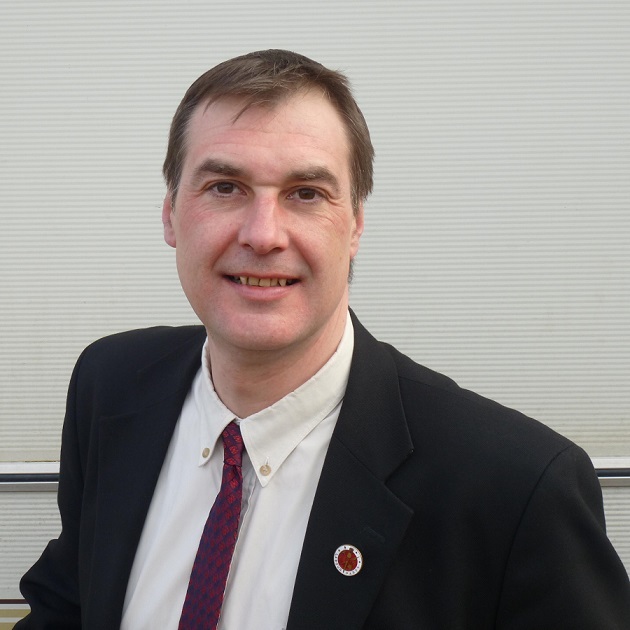 The current member of parliament is the Liberal Democrat Michael Moore who has served since 2005. I really don’t think I’m in danger of getting very far out of touch very soon. I have to juggle a regular job and a commute with a young family. I know the price of a pint of milk and I have friends from many walks of life. If elected I don’t intend forgetting why I have stood as a candidate – which is to help and support ordinary people. I have the skills, the passion and the commitment to make a difference. I enjoy talking with people and would focus on constituency issues. I also have a good grasp of a wide range of policy issues – esp health and education, housing and the economy. I am also standing for the party with the best policies! He has been a popular MP and has worked hard for constituents. I believe he was influential in removing some of the red tape when various faith groups set up food banks in the Borders, which I applaud. I don’t have any personalised comment to make. Being an MP is a tough job. But the coalition with the conservatives has left many Lib Dem voters in this constituency dumbfounded, and the broken pledge on tuition fees has damaged the personal reputation of very many Liberal Democrat MPs. No – austerity is not working. It has strangled the economy with the ironic effect of reducing government revenue, making it harder to pay off the deficit. So it has failed even on the government’s own criteria and involved a great deal of hardship in the process, particularly the most vulnerable in society. Immigration is vital to the UK – but it is important that all jobs in the UK are open to all to apply for, and that no one is exploited under poor terms and conditions that harm everyone. Well the most important thing is to invest in the economy and generate economic growth and wage rises, coupled with fair taxation, a regulated energy market, and ensuring that policies benefit the many not just the few at the top. So there is quite a bit to be corrected! In England the increasing use of the market model has been very harmful. NHS services must be delivered on a collaborative model – with joined up care, sharing information and good practice. Fragmentation and competition does not lead to efficiency savings, just to more private providers taking a cut and palming off the complex cases. Health care also needs to be integrated with social care to reduce hospital admissions and centre care around the person. I believe in a job, education or training guarantee for every young person. No one who is young and able to work should be unemployed. As a socialist I believe in the dignity of work. We need the public and private sector, colleges and government to ensure a pathway to skills and employment for every school leaver. I oppose a referendum and it think the UK firmly belongs in the European Union. The instability and uncertainty is already affecting business interests. Anti European rhetoric is just that, and there is so much misinformation, particularly from fringe parties and biased media. Meanwhile not enough media coverage of the politics of Europe leaves a democratic deficit. Most people cannot name their MEP. This all needs to change before we can have informed opinion or reform in Europe where it is needed.